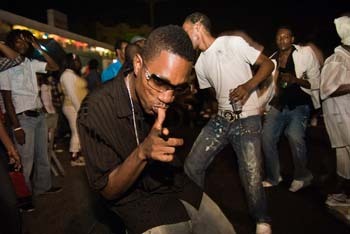 Upload a picture of "Passa Passa"
Add a YouTube Video for "Passa Passa"
To chat, converse, gossip or talk about something. Patois: I man did ah passa passa wid mi muma bout di Jerusalem dung di road. A weekly street party originating from Kingston Jamaica that occurs mostly on Wednesday nights and normally finishes on Thursday at 8am.